The role of youth in development and active participation in Africa has been a topic of discussion here and in many other forums. While agreeing that the youth lag behind in active participation, it must also be noted, with pride, that there is a group of young Africans who have the present and the future of Africa in their hands. As such they are stepping up to address problems in the community through creative methods put in place via various projects. 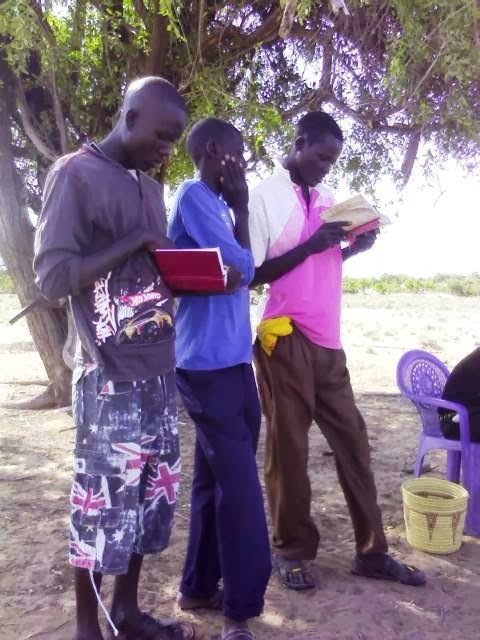 One such young African is Ekai Nabenyo who hails from Turkana in Kenya and who seeks to address the challenges that have been for a long time now been associated with Turkana through the CBO Locodein Community Based Organization. 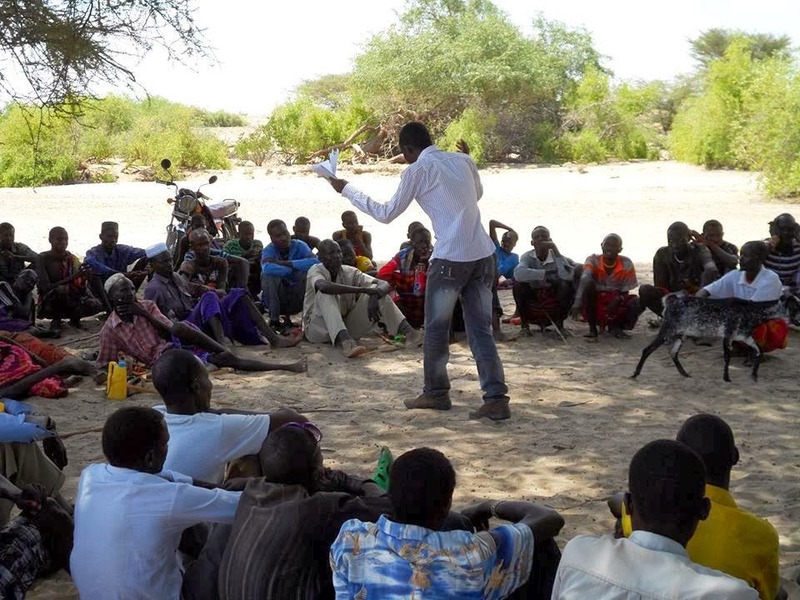 Locodein Community Based Organization is an organization that works in Turkana, Kenya. It is based in Lorengelup area but its work extends to the larger Kerio Sub-county. To understand the work done by Locodein one must understand Lorengelup as a region and the factors and politics that surround this area. 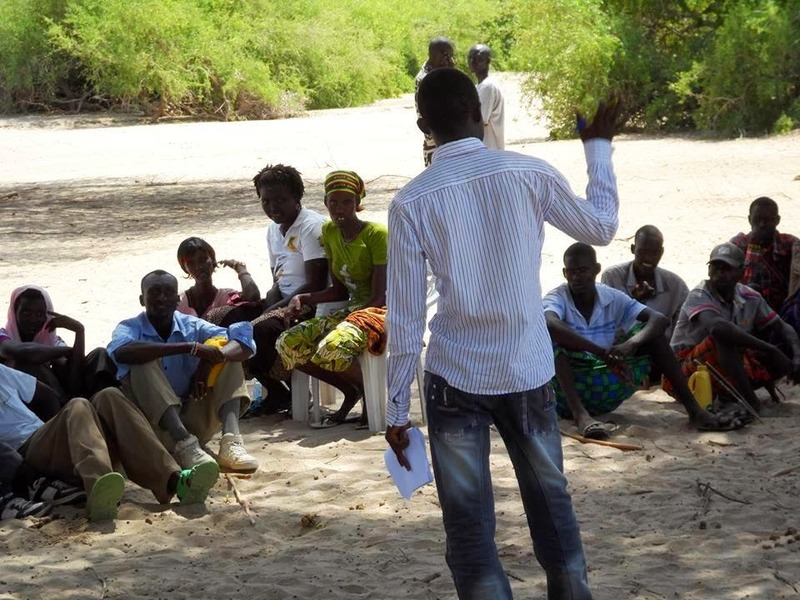 Lorengelup is located 47 km on the eastern part of Lodwar, has a population of about 2000 people with an illiteracy level of more than 80%. It also experiences the lowest rainfall in Kenya which means that there is unreliable water and food supply. As expected the area has experienced attention from the Aid Community and from the government but real change or development is yet to be seen. This is the basic line at which Locodein operates. Locodein is a young organization that was set up in the year 2012 by a group of university students from the area with an aim to steer the community towards development, youth empowerment and environmental conservation. It is under these three basic goals that Locodein operates and has seen a number of projects successfully go through in the community. For example in the year 2013 it organized The 2013 Kerio Grand Youth Summit to discuss issues affecting the youth and how they can be addressed. Similarly, at the beginning of this year it organized Lorengelup Youth Summit on Environmental Conservation. 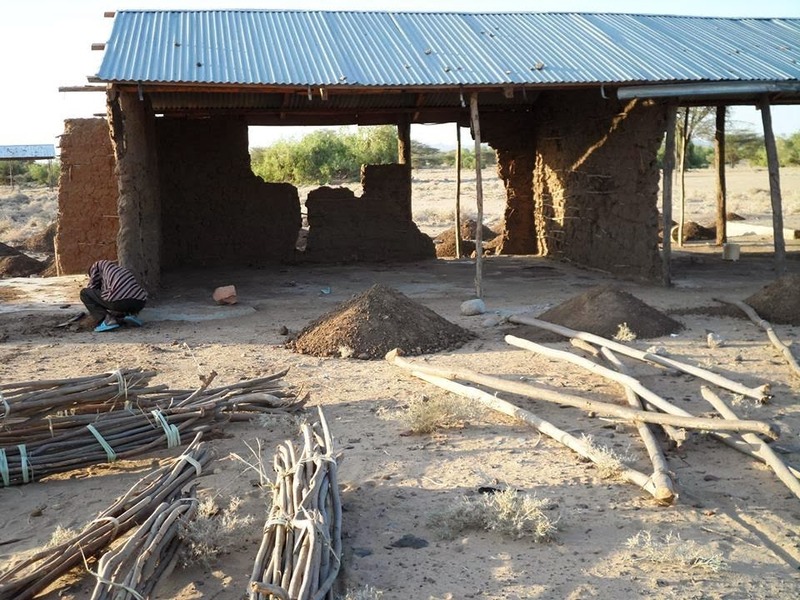 It also successfully wrote a proposal to the Safaricom Foundation and through these efforts there are six classrooms being constructed so that children can stop learning under trees. In future, Locodein hopes to carry out projects that will continue to impact the community positively in the areas of HIV/AIDS, to curb the high rate of HIV among the young. Bee-keeping, is also another project they seek to establish. This is not only an economically viable project but also an environment-friendly one which will see the members of the community trained on bee-keeping the procedure, methods and finally how to market the honey. Locodein will partner with the County Officer in charge of Livestock and Agriculture to see that this is done. This will play a part in making the people self-employed and therefore the community a source of livelihood. The group also seeks to come up with creative ways of keeping the youth busy during schools holiday in April, August and December through football and volleyball tournaments. Since the youth normally have to pay some money to engage in such tournaments, Locodein will organize and support these young people in these tournaments and use football as a tool for social change. It hopes to do so in cooperation with the Youth Ministry to foster positive behavior change. 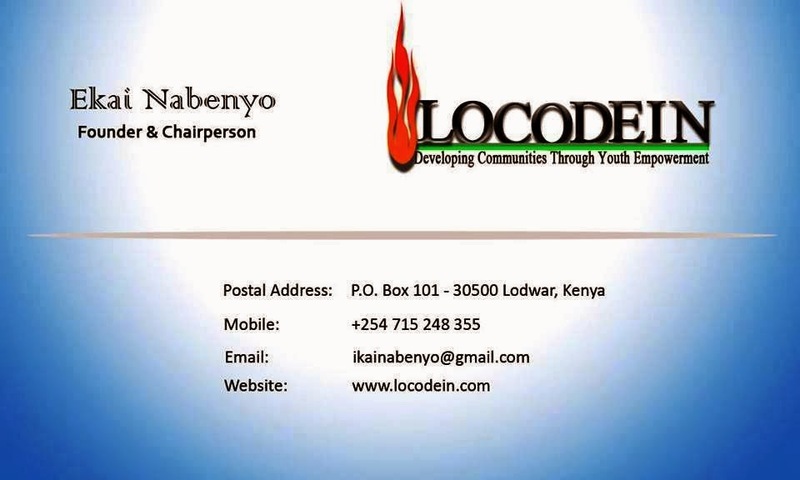 Since the rate of poverty in Kerio is alarming, Locodein aims to move an informed, context specific and action-oriented approach in sorting out this problem. By providing readily available initial capital to these people it will be possible for them to engage in sustainable income generating activities that will end the cycle of dependence on foreign aid. This will be done under a micro-finance project. Finally, with the high rates of illiteracy Locodein seeks to initiate adult literacy programs to enhance the literacy capacity of the local community. The fact that this area has been curbed by illiteracy has made it an area that is easily put to the margins of society in terms of employment opportunities, political participation and civic duty, economic development and educational facilities. By addressing this problem, Locodein foresees a brighter future for this community. To learn more about the work done by Locodein follow their activities on http://www.locodein.com/ and to find out how you can be involved please contact Ekai Nabenyo at ikainabenyo@gmail.com. Ekai is also being nominated for the CNN Heroes Award and you can nominate him here. This is so wonderful my dear friends. Thanks to you all who contributed to compiling this comprehensive information on our CBO and thanks for nominating LOCODEIN as the NGO for March. We are grateful and may blessings come your way.